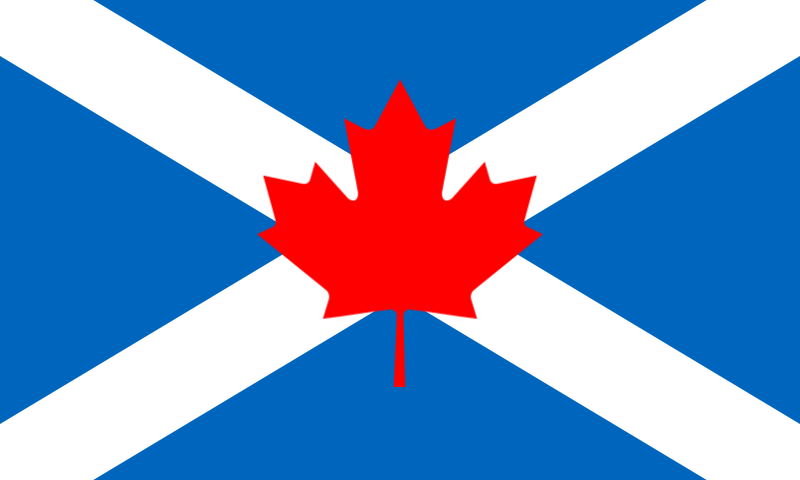 February 24, 2017 Simon McKerrellLeave a Comment on Might Canada be a good model for Scottish cultural policy post-Brexit? An effective cultural policy should do many things, but one thing that we could do better is policy for the arts. Good arts policy depends upon a range of artists, deep communities of practice, some public support and private success, amongst many other things. But the most important bit which sometimes gets lost, especially in amongst the razzmatazz of Celtic Connections or the Edinburgh Festivals in the summer is aesthetically (or artistically) transformational experiences for the Scottish public. Art has many values from the personal to the public, but changing the way we see, feel and hear the world through artistic experience is one of the most vital. One way in which this actually happens is when cultural policy connects the local to the global, and we might be able to learn a few lessons from other countries post-Brexit about this, particularly Canada. The decade 2010-2020 in the UK has, and will show a continuous retreat and downsizing of the state in relation to cultural and arts policy and financial support. This is a real, live problem in Scotland and across the UK because Local Authorities are still the largest funders of arts in the UK. In England for instance (where we have figures) we know that since 2010, local authority spending on the arts has declined by 17% (£236m). In Scotland there is a similar picture. Much intellectual energy and scholarly discourse has been devoted to national cultural policy structures for the arts in the UK and elsewhere over the last twenty years. This has involved large and intensive debates about complex transdisciplinary areas such as: the social impact of the arts; the regenerative agency of creative place-making; cultural capital; the equitable distribution of state funding to different genres and regions of the UK, and; the relationship(s) between the intrinsic and instrumental value of the arts. All against a public background and political narrative of austerity. 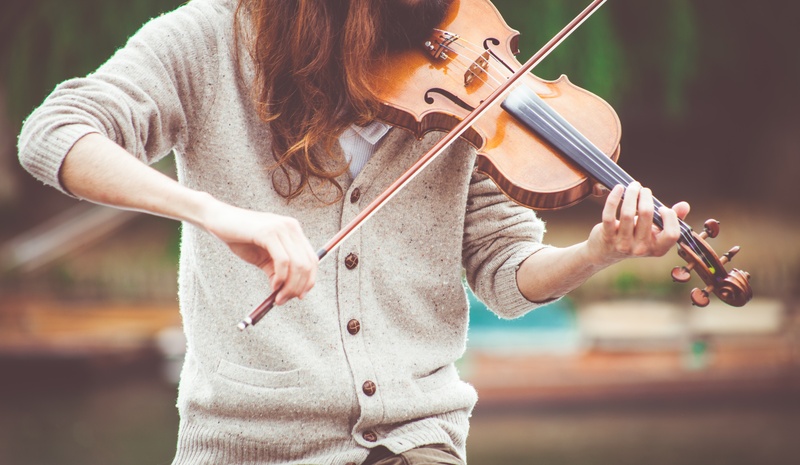 We know from much of the research that has emerged that the arts can have a transformative positive effect on individuals and communities given the right conditions, but this often happens at the personal and/or very local level. In amongst all the macro debates about UK cultural policy, not much attention has been paid to those smaller, local communities of artistic practice, that carry on their production and consumption of culture beyond the reach of the state or its quangos. The continuing delivery of arts projects in Scotland and elsewhere across the UK mostly happens at the local level, even when it is supported through national or local authority arts funding. Increasingly, studies of globalization and culture have pointed out that the local and global are interdependent upon each other, and that most forms of belonging are inherently local, but increasingly mediatized through global means such as social media, websites, fora, and online news and television. It is the local arena then, where local artistic practice across musical, narrative, dance, visual or even gastronomic traditions are actually practised. Indeed, when one remembers that in Scotland, the most popular cultural attendance context is a visit to the local library (more than cinema or live music) one of the obvious post-Brexit answers for cultural policy is staring us in the face. Moreover, in Scotland, the Scottish Government now has recently moved into a third successive term of SNP administration, which continues to explicitly develop ‘The Scottish Approach’ to delivering policy and to devolving decision making ‘with’ the community. In a number of non-UK contexts, local government has been, and continues to be, key stakeholders in the development of musical communities. Recent shifts in government policy in both in the UK (instrumentalization of the arts under New Labour) and particularly in Scotland (widening of the wellbeing and health policy agenda to include prevention) now mean that participation is viewed as a contributing factor across a number of domains beyond the artistic. The arts are now present in various social cohesion, health, wellbeing, economic growth and sustainability strategies across the UK and much of this work is being carried out via non-arts and non-cultural policy officers within local authorities. These reasons amongst others, underscore the importance of understanding how local participation and delivery of arts projects across varied urban and rural landscapes in Scotland relate to cultural policy in a rapidly changing context. Too much has been made of professional ‘high quality’ arts in Scotland. Local, and less glamorous activities across the nation give much more bang for the Scottish buck in terms of transformational artistic experience: The retirees choir rehearsing their ‘Passion’; the rural fiddle group meeting weekly on a Thursday night to exchange tunes and fun; the urban dramatic society bringing together the generations for a performance of Noel Coward’s ‘Blythe Spirit’ for a week in December, or; the central belt pipe band preparing boys and girls for the competition season in the summer. These local groups are not in direct competition with the professional artists, but in many ways a pound spent there goes further and longer than a pound spent on the next elite performer’s tour, or orchestral production. A lot of this money comes from local authorities, and these local authorities have less to give but they already have a vast network of libraries where much cultural activity takes place. Could we not in a post-Brexit world set aside some money perhaps via ringfenced or Edinburgh distributed cultural funding, so that libraries could extend and reinvent their role in the local community as the arts hub? Public libraries are the natural home for local arts in the globalized Scottish 21st century. They do it elsewhere and we could learn from them in a post-Brexit, or even post-UK context. Canadians borrow from their public libraries twice as many books as they buy each year and 85% of their local communities have a Community Trust which acts as a focal point for local arts philanthropy and community engagement—local people coordinating and deciding how to pay for local arts from local money. In fact, libraries account for about 40% of provincial cultural spending by government in Canada, and they even have a publicly funded national encyclopaedia available digitally at their libraries (pretty good for tourism their too). At the federal level, the Canadian government is even spending $210 million dollars in 2017 alone on cultural heritage to celebrate their 150th anniversary—a fraction of this spending on our Scottish cultural heritage at the local level would be hugely positive in Scotland. As it happens, neither the UK (including Scotland) or Canada have signed the UNESCO 2003 Convention on Intangible Cultural Heritage and are unlikely to do so. They spend ringfenced money from central government on their traditional music, drama and dance; ours go into the general competition on artistic merit up against every other art form. Traditional arts could see a post-Brexit boom if we adopted a more Canadian approach. We spend a lot of money on the arts on national ‘glorious megafauna’. Even if we set aside £500K for each of the 32 Scottish local authorities ringfenced specifically for local arts, that would represent half of the annual budget we spend on the five national performing companies (RSNO, Scottish Ballet, Scottish Chamber Orchestra, Scottish Opera and The National Theatre of Scotland). Yes, £16 million for arts in Scottish libraries for a new Scottish communities arts trust in 2017 would be a good place to start (and would represent about seven times as much as the CS Cashback for Creativity initiative has invested back into local arts in the last several years). In Scotland we spent last year a ‘whopping’ £250K via the Public Library Improvement Fund—and guess what—this piddling amount was only accessible through competitive tendering into a central pot. Internationally, the United Kingdom has a comparatively weak local authority provision for the arts within an EU context, and both cultural growth of ominorousness and the continuing reduction in funding for local authorities makes investigating novel and innovative methods of community funding and sustainability for arts more urgent. Indeed, one of the explicit aims of a newly reframed post-Brexit cultural policy would be to tackle more effectively the question of how local communities of geography and practice can themselves sustainably support their arts activities beyond any whims of local or national government. There could be a test artistic sustainability; at the most basic level we could ask Creative Scotland and/or local authorities to tell us how effective the money they spend is. Similarly, within the arts world, there’s still too much of a banal position that posits capitalism in simple opposition to the flourishing of an idealized, community-based, egalitarian performing arts. When one examines the realities of artists’ lives, one can see that many of the disciplines, and to a certain extent the grey literature of cultural policy itself, have broadly taken a moral position that represents an idealized arts ecosystem that is somewhat adjacent to reality. Beginning by linking the Scottish Household Survey on arts participation to actual cultural policy might be a good place to start in Scotland post-Brexit. Going further than this and learning from elsewhere, we could adopt more innovative funding models: Canada, in addition to having funding for just about everything to do with the arts also has changed the tax laws via The Investment Canada Act which requires that foreign investments result in a net benefit to Canada and are compatible with national cultural policy objectives. We could do that in Scotland. Maybe the new ‘Creative Industries Advisory Group’ announced this month could do something like that. We could also ask artists to take government backed loans instead of grants putting more onus on commercial success—they also do that in Canada. It’s not just a good idea because we believe in libraries and artistic notions of the public good; many many jobs in a post-Brexit Scotland whether independent or not, will depend upon the creative industries. We should get a head start this year with some radical cultural policies that support the local and encourage the commercial. Dr Simon McKerrell is Head of Music at the International Centre for Music Studies at Newcastle University, in the School of Arts and Cultures. He’s also the Social Renewal Theme Champion for Arts and Culture in Social Renewal. Simon is interested in the social impact of music across three research topics: cultural heritage; sectarianism; and multimodal communication, and how these relate to policy.